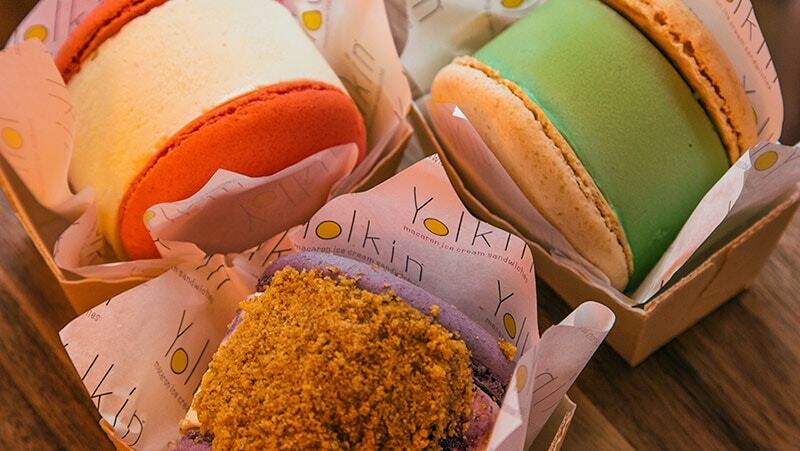 Discover Yolkin’s magnificent macaron ice cream sandwiches! 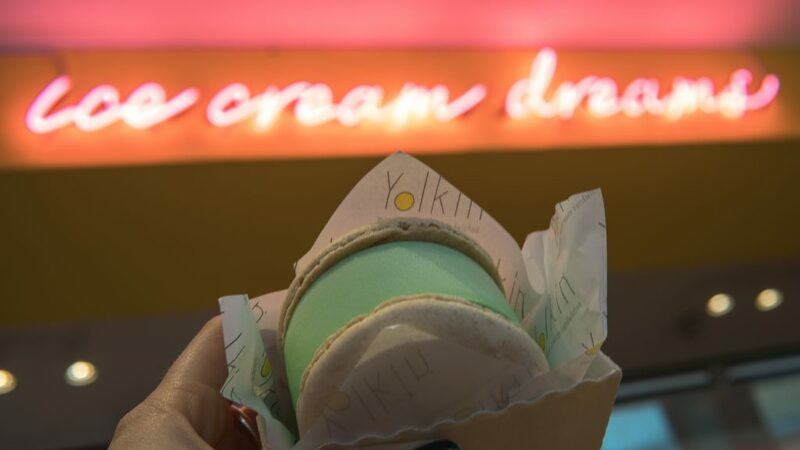 Soft, chewy, creamy, delicious – Yolkin’s macaron ice cream sandwiches are your new favourite summertime snack. Take a bite and surrender to Yolkin. Have you caught the Yolkin buzz yet? An ice cream parlour like no other, Yolkin’s macaron ice cream sandwiches are set to be a sweet summer sensation. Having already taken Instagram by storm (40k followers and counting…), they have quite the fan club. 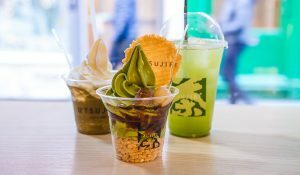 Here’s why you should grab yourself this captivating snack next time you’re in Chinatown London. Close your eyes and imagine row upon row of tempting, rainbow-hued macarons. Now, double their size, then insert a giant slab of free-range, velvety soft scoop in between those delicate layers. You’ve just pictured the seductive counter at Yolkin. Is your mouth watering yet? The brainchild of baker Sammie Le, these ridiculously photogenic macaron ice cream sandwiches captured the hearts and stomachs of Londoners when she debuted them in 2015 at Rupert Street’s Food Union Market. 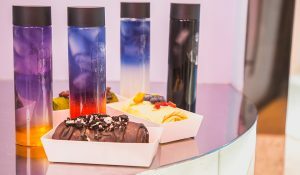 Today, her Rupert Street shop is a temple to these sugary marvels. Born to Chinese-Vietnamese parents and growing up in Hong Kong and then London, Sammie’s flavours are a love letter to both East and West. Bite slowly through the crisp-yet-chewy macaron and you’re met with the most moreish soft scoop in flavours like lychee, black sesame, Earl Grey tea, salted caramel or banoffee. All made from free-range eggs with no nasty additives or preservatives. Vegan? 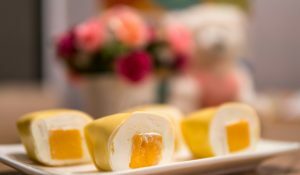 Don’t despair – you can still join the Yolkin party (or should that be Yolkout?) with their pandan coconut or raspberry mango sorbet. Entirely animal-product free! The origin of this tantalising treat is an economical stroke of genius. A keen baker with a macaron obsession, Sammie was fed up of wasting the discarded egg yolks from the macaron mixture. As her family grew tired of being force-fed custard, she stumbled across egg yolk ice cream. Then it struck. ‘What if I combine the two?’ And so her magical confections were born. Of course, the egg yolks lend an ultra-rich, insanely-creamy texture to the ice cream making it utterly delightful. But eating it sandwiched between two macarons isn’t the only way to devour at Yolkin. You can also buy their irresistible ice cream in simple scoops or have it blitzed up into mighty milkshakes too. Get yours to go or pull up a stool and eat it in the pretty parlour. 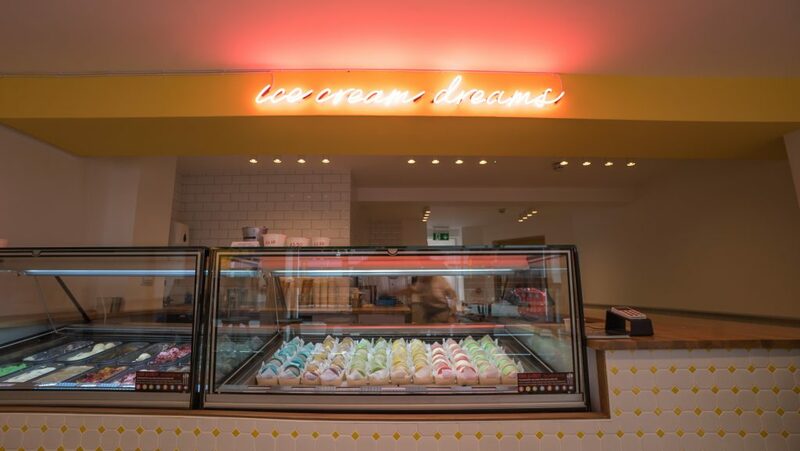 Like its neon sign states, ‘ice cream dreams’ are made here.